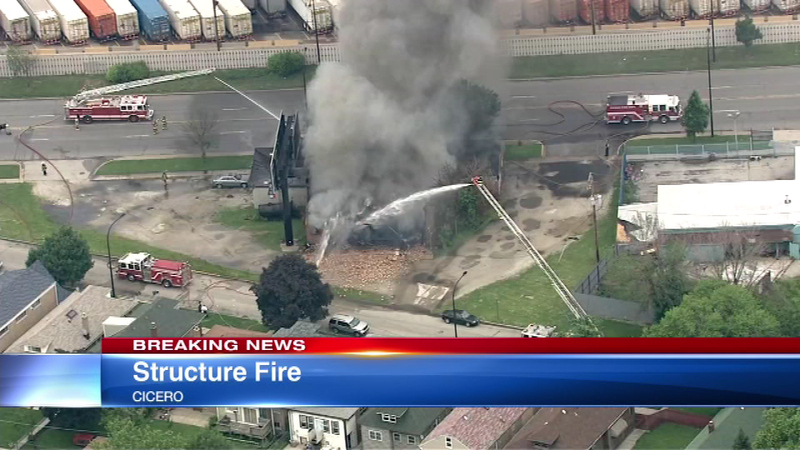 Building fire in Cicero Wednesday afternoon. CICERO, Ill. (WLS) -- Firefighters are battling a structure fire Wednesday afternoon. The building, which is located at 30th Street and West Ogden Avenue, is possibly an auto shop or car garage.